Thaivivat Insurance has many other coverage plans that are ready to take care of you and make sure you can live confidently. Whether it’s our Cargo Insurance, Property Insurance or even Theft Insurance, they are here to serve. Click on for more information. Other Insurance Plans - Choose the one that’s right for you. Thaivivat Insurance has a policy and conditions that are quite flexible in terms of selective coverage and full coverage. 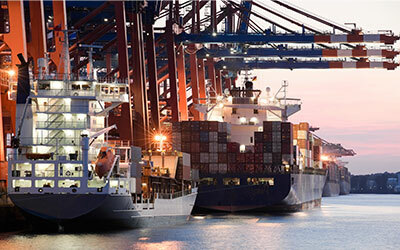 We provide insurance for all cargo types, whether it’s land, sea or air. We also have expertise in products of many categories such as agriculture, food and beverages, electronics, computers, industrial machines and parts, metal, iron and stones, medical supplies and pharmaceuticals, chemical and petroleum products, glass and ceramics, frozen goods, gems and diamonds, automotive, home decorations and personal products. Furthermore, our service is prompt and punctual because we have the settling agents all over the world, so you can be sure that Thaivivat is the company that will make sure your properties get to where they need to be. For impeccable services, Thaivivat Insurance has partnered up with Delvag, the expert in all airlines with over 80 years of experience so our cargo service is rated A for excellence which is the basis of the strength of our business. This is the plan for the protection of your properties while they are in transit and it can also be expanded to all types of cargo, such as air or land, this includes sea as well. 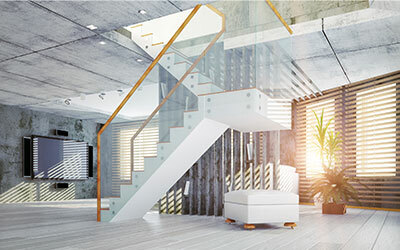 Protection against damages to your property from accidents and other unexpected incidents that hasn’t been previously specified in the plan, the company will not be responsible for any costs that goes beyond what was previously agreed. You can always be sure that we will keep your valuables protected to the best of our capability. The insured will be protected from damaged occurred due to theft. The evidence of intrusion must be clear and if the plan clearly states its coverage, you don’t have to worry, we’ve got you covered. 1. Damages to the properties of the insured in which the insured can choose between 3 types of coverage which are 1. Protection from damages where the sign of the intrusion is visible. Anyone who hasn’t been previously specified in the contract that causes a theft to your property, we will cover when you show us a clear sign of the intrusion whether from chemicals, explosions, hardware tools. 2. This covers theft with signs of intrusion and also burglary. This type is similar to the first, however, this one has been expanded to cover burglary as well. In this case, burglary means being violently threatened as a mean to take over your personal property. 3. This type covers theft, burglary and mugging. 2. Damages to the building that holds the insured properties, the company will provide coverage for the properties inside the building that may have been caused by theft such as 1.